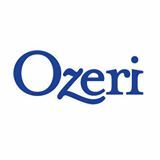 Get cooking with Ozeri's 11 piece All-In-One Silicone Utensil Set! I truly do love Ozeri products and this one is no different. This 11 piece All-In-One Silicone Utensil Set is literally the perfect utensil set. I love that it comes with every utensil I need to get my kitchen up and running. 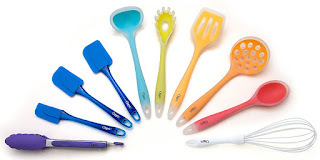 I also love that each and every utensil in Ozeri's 11 piece All-In-One Silicone Utensil Set is silicone so I no longer have to worry about melting utensils while cooking. 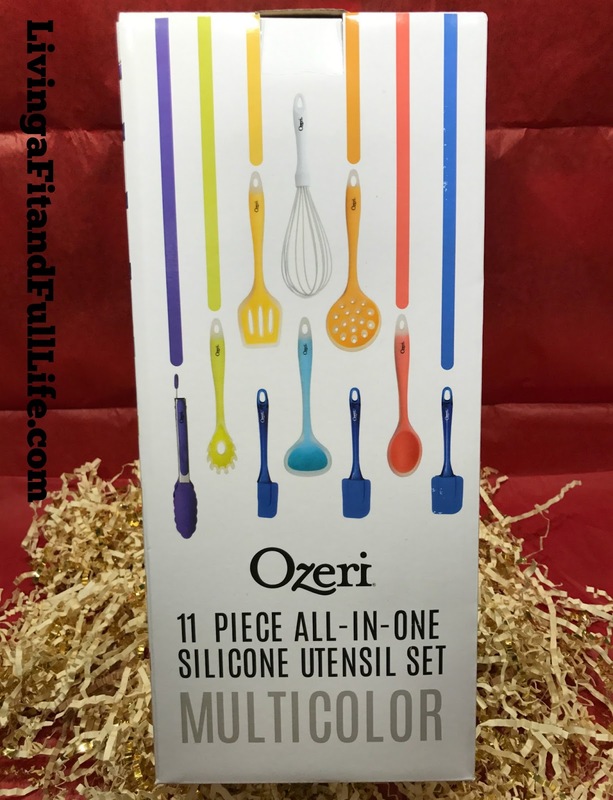 Ozeri's 11 piece All-In-One Silicone Utensil Set is multi color and would truly look amazing in any kitchen and holds up extremely well. 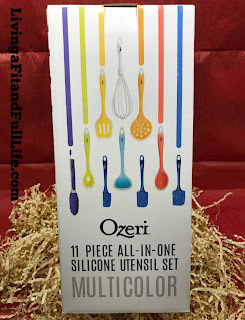 Ozeri's 11 piece All-In-One Silicone Utensil Set would make a terrific gift this Valentine's Day for anyone who loves to cook or anyone who likes to have beautiful kitchen accessories.